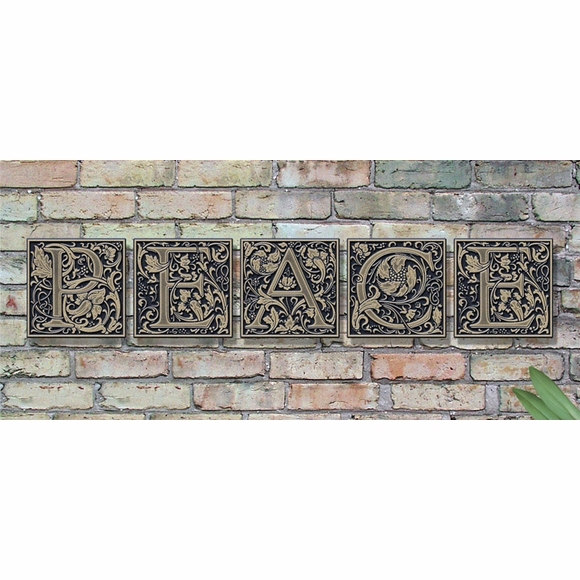 Cloister Medieval Letter Tile - - 8" square aluminum wall tile holds one stylized capital letter. Wall mount. Made in USA. Combine cloister tiles to spell place names, other words, or your name. Each tile is heavily embellished with floral accents. Color combinations: BG black plaque with gold characters; AC antique copper; OG bronze gold. 8" x 8" cloister style tiles with individual letters.